Brunching, running, socializing -- this group has it all. And only at the 5th annual bRUNch Run! Brunch and running are two of my favorite activities. Today, I found out some geniuses combined the two and started a group called the #bRUNchTribe. This innovative society goes by the motto "RUN. EAT. DRINK." And for the fifth year in a row, they will be hosting the annual bRUNch Run on October 14, in Denver. Brunchers can choose to either run, walk, or skip a 5k or 10k race that will be officially timed. The event has gained so much popularity that they are sponsored by well-known companies such as Reebok, Boulder Running Company, The Real Dill, Tito's Handmade Vodka, Great Divide Brewing Co., CorePower Yoga, Greenbox Self Storage, Molly's Spirits, Fierce45, and PDC Energy. The group even has its own clothing line. Some of the shirts include sayings such as "Brunch Lover" or "Brunchaholic" -- both of which you can buy here if you want to show up to your first event looking like a seasoned veteran. Brunch may not be the best idea, though, if you are trying to lose weight, as a lot of the menu items are rich and hearty or sweet and savory. However, this gathering of great minds not only provides a healthy activity, but it's followed by a delicious one, all while allowing you to socialize with a terrific crowd. So you can have your cake (pancakes?) and eat 'em too! Brunching is quickly becoming a staple weekend activity for most residents in Denver. If you don't believe me, just read up on the most recent Denver BrunchFest, which took over Denver on August 12. I love running. But I love brunching even more. What's your favorite brunch dish? 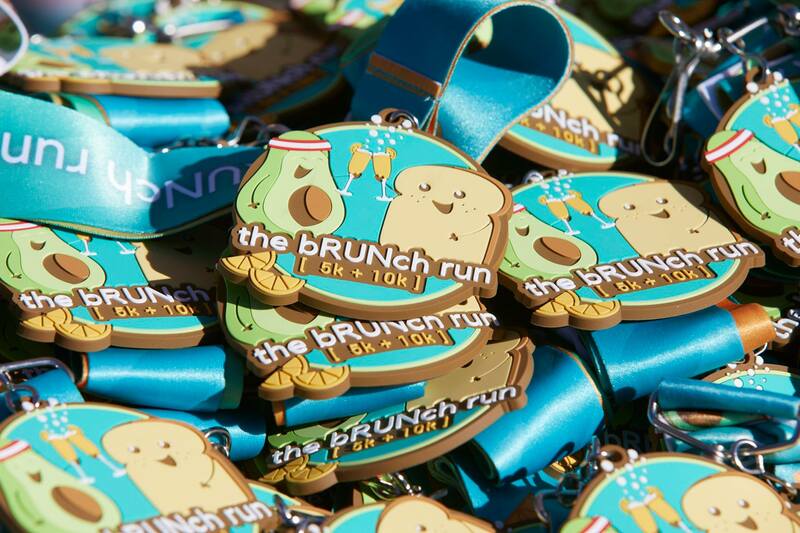 Will you be participating in the bRUNch Run this year? Comment below! Check out this list of the best parks in Denver for a post-brunch stroll!